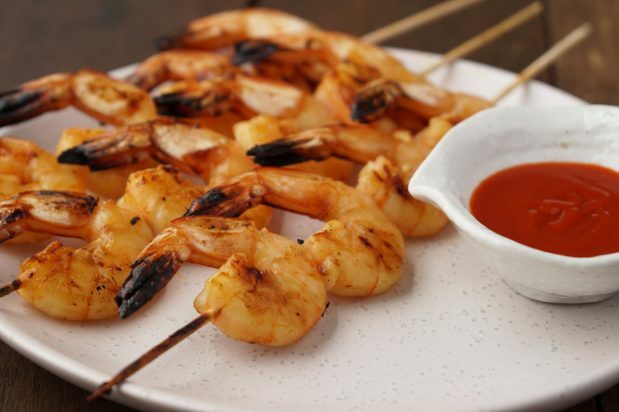 In a zip-lock bag, combine the prawns and the marinade ingredients and combine well. Let them marinate for at least 15 mins. 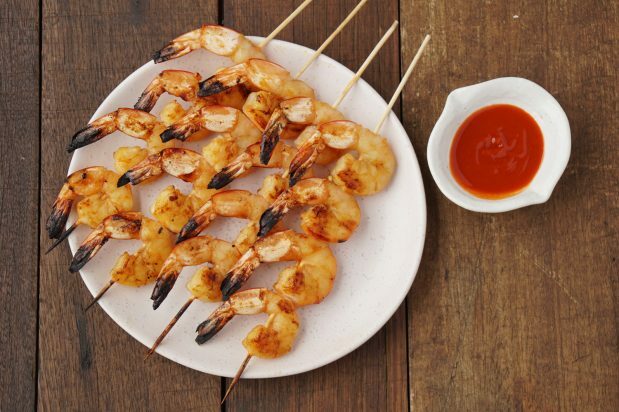 Skewer 3 to 4 prawns on to each bamboo skewer and transfer to a barbecue. Cook the prawns for 3-5 mins on one side before flipping to the other side and continuing to cook for another 3-5 mins.